A total of 280,747,22 voters are eligible to exercise their franchise. They include 1,41,56,182 men and 1,39,05,811 women. The electorate also includes 10,038 service voters and 249 overseas Indian electors. 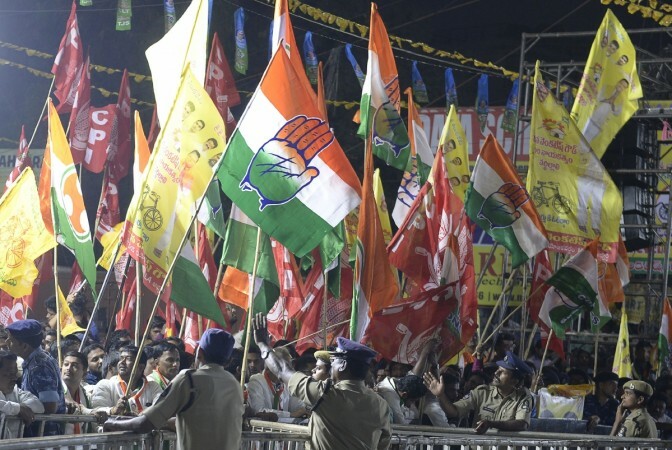 As the Communist Party of India-Maoist has given a call for the boycott of elections, the police heightened the vigil in areas bordering Chhattisgarh and Maharashtra. For the first time, the Voter Verifiable Paper Audit Trail (VVPAT) were being installed across the state. After a voter casts his vote on EVM, VVPAT attached to the machine will display for seven seconds the choice made by the voter. Officials said they were keeping a close watch to stop distribution of cash, liquor, or gifts among people by political parties or candidates. Over Rs.110 crore cash and over 5 lakh litres of liquor was seized across the state over last one month.